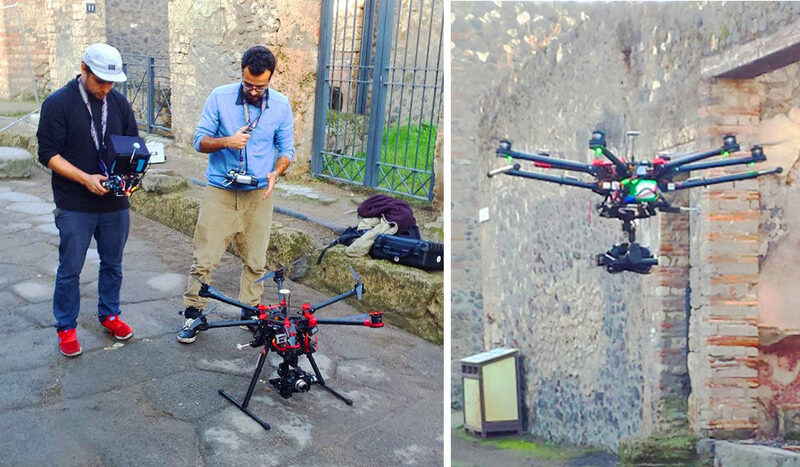 Filming for Two Four Broadcast’s documentary, Raising Pompeii, for ITV and the Canadian Broadcasting Corportaion, Bee Aerial was able to capture stunning aerial views of the once-buried ancient city of Pompeii. The shoot was split in two, filming footage in parallel for the two broadcasters using different presenters. Based on its ancient heritage the curators of the city are sensitive to any potential risk of damage. Because of this, extra risk assessments were carried out to ensure complete confidence in the safety of all flights, in addition to securing all the special permissions necessary for access to the site. 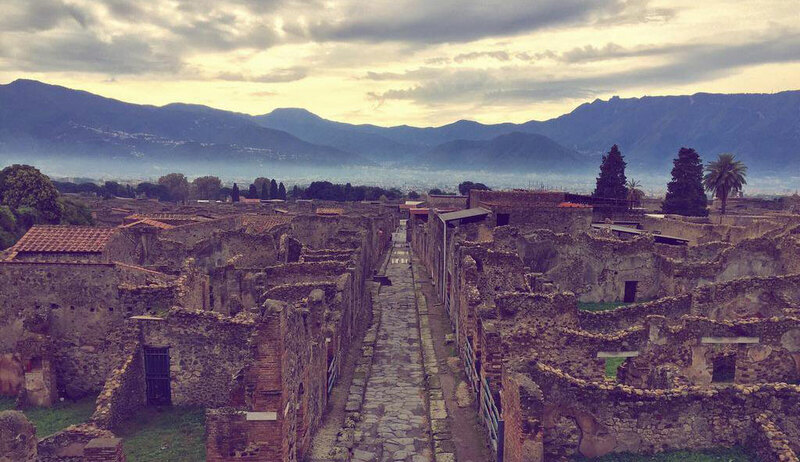 Our two man crew stayed for three days, with shooting limited to the hours of 6 am to 8 am in the morning before Pompeii opened to the public. We were lucky with the weather, and made the most of one misty morning which gave an amazing, evocative touch to our images. Shooting with the DJI S900 drone and Panasonic GH4 VLog camera, we provided general footage over the city, as well as shots of the presenters speaking to camera before ascending to a dynamic reveal of the stunning location.